Shin Megami Tensei: Strange Journey Redux is a role-playing video game developed and published by Atlus. In Europe, it was published by Deep Silver. 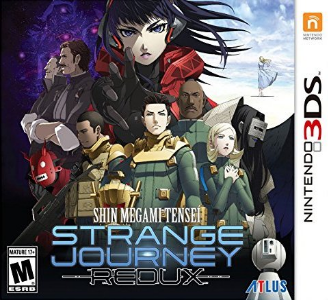 It is an enhanced port of Shin Megami Tensei: Strange Journey originally released for Nintendo DS and features voice acting, new illustrations, a new route and ending and, a new character. The game performs perfectly on the latest Citra Nighties outside some occasional voice distortion during spoken segments, a rather minor problem overall.